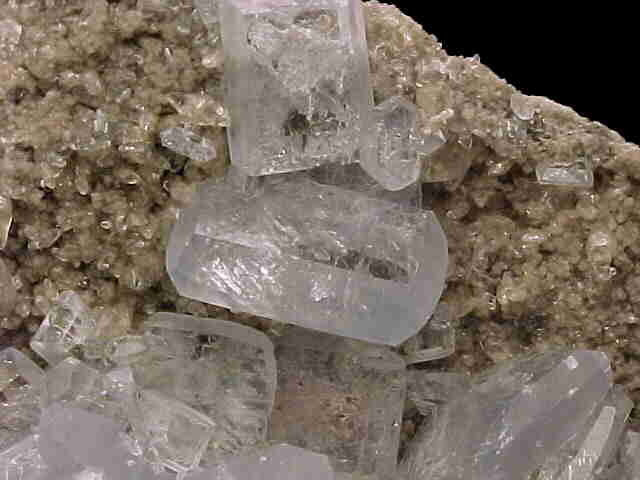 Comments: Transparent blue orthorhombic crystals of celestine, some doubly terminated to 15 mm in size, on a limestone matrix. Location: Clay Center, Ohio, USA. Scale: 5 x 9 x 2.5 cm.